A classical interactive installation about privacy and being watched. Although we are generally unaware of it, our daily comings and goings are constantly being monitored by cameras and other surveillance-equipment: whether we're in a bank, at an airport, in a museum or a supermarket, our presence is being registered and checked-out practically round-the-clock, as if we were all potential criminals. 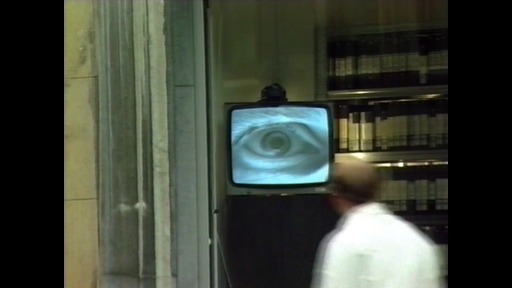 Big Brother is watching you, or rather peeping surreptitiously at you.